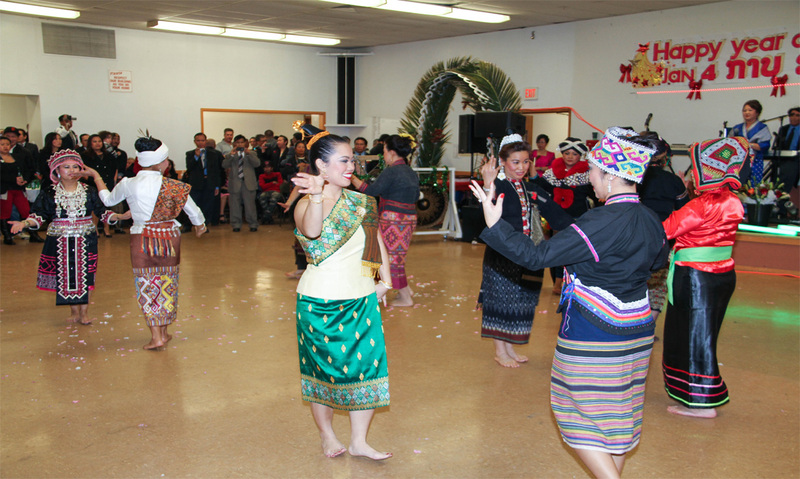 Khmu’ is one of the three main ethnic groups in Laos which consists of the Lao-Loum, Lao Theung (Khmu’) and Lao Soung (Hmong). 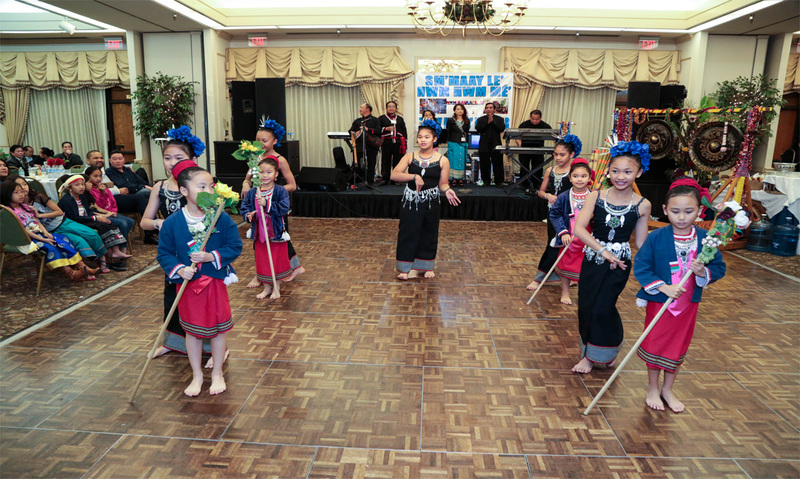 The Khmu’ are one of the original, indigenous inhabitants of Laos preceding the arrival of all other groups. 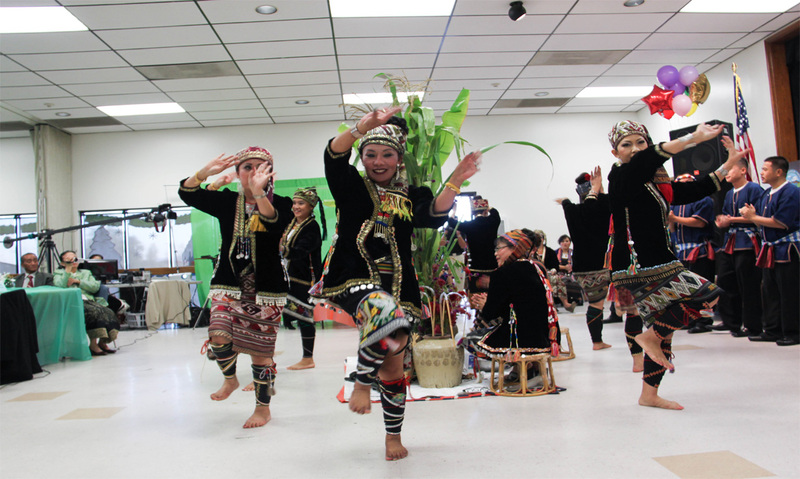 Khmu’ have their own spoken language and written alphabets, culture and beliefs, and cultural costumes which can be differentiated instantly from the many ethnic groups in Laos. 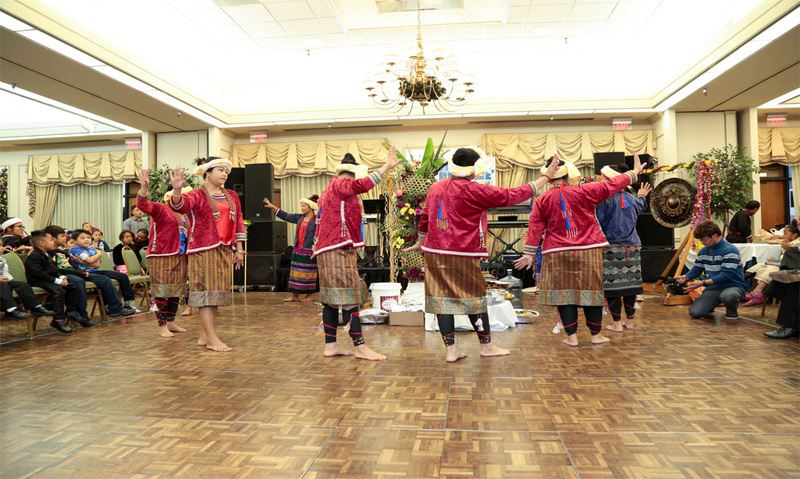 The Greh ritual is the New Year celebration ceremony of the Khmu’ people. 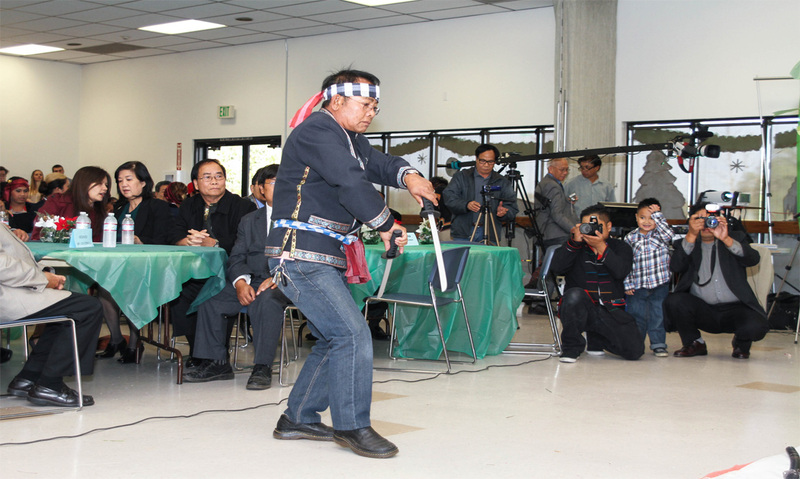 The Greh ritual or celebration is the most important event for the Khmu people. The practice and process observed during the Greh are what we have believed, maintained and respected according to the traditions that were passed down from our forefathers, Khoune Cheung, (Ta’ Cawq Ya’ Cwaq). 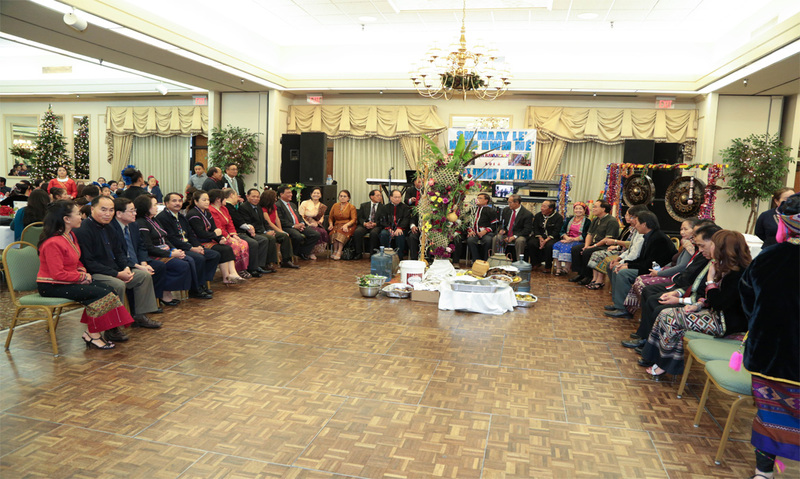 Every year wherever Khmu may live, we celebrate `Mun Greh as an individual family or as a community social event. Every family, every clan, and every city celebrates “Greh” in the month of December through January. The “Greh” touches on a great many aspects of life, such as serving and preparing food, raising all kinds of animals, planting fields, harvesting rice and storing the seeds for the next year’s harvest. 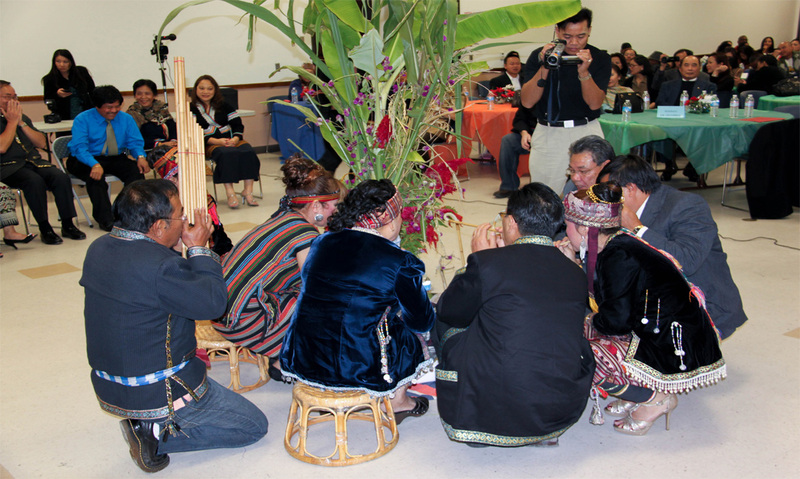 The “Greh” ceremony consists of banana trees, sugar cane, flowers called “Raaq Roon” and two rice jars as centerpiece surrounding with different kinds of yams and produce which includes harvest tools such as shovels, sickles and knives. 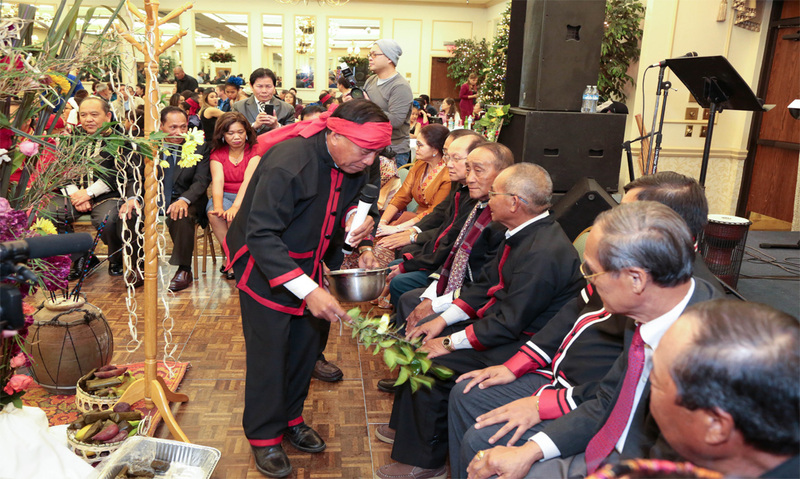 The core mission of the Greh ceremony is to remember and give thanks to our ancestors “Ta’ Cawq Ya’ Cwaq’ and ask for their blessing for a bountiful harvest from the farm, a healthy life, and peace for all Khmu’ people. During the ceremony we also wish everyone for a peaceful living, healthy life, achieve prosperity and happiness in the up-coming year. 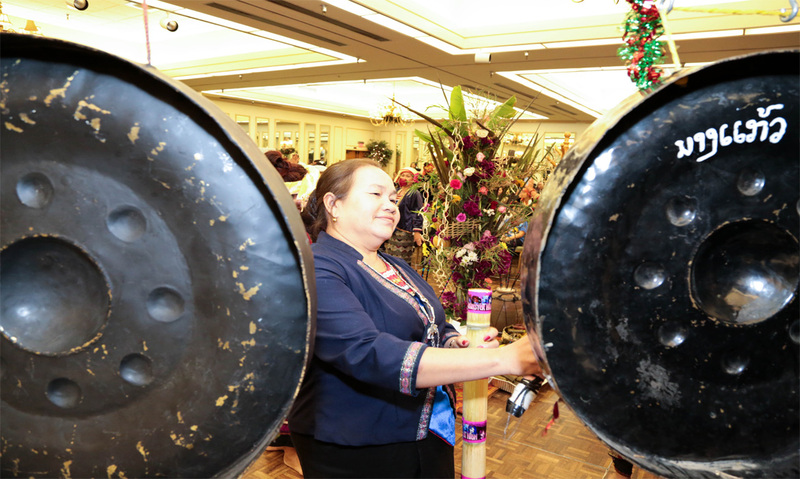 A group of people, young and old, walk towards to the Greh’s centerpiece to announce the New Year celebration by dancing, singing and hitting gongs. 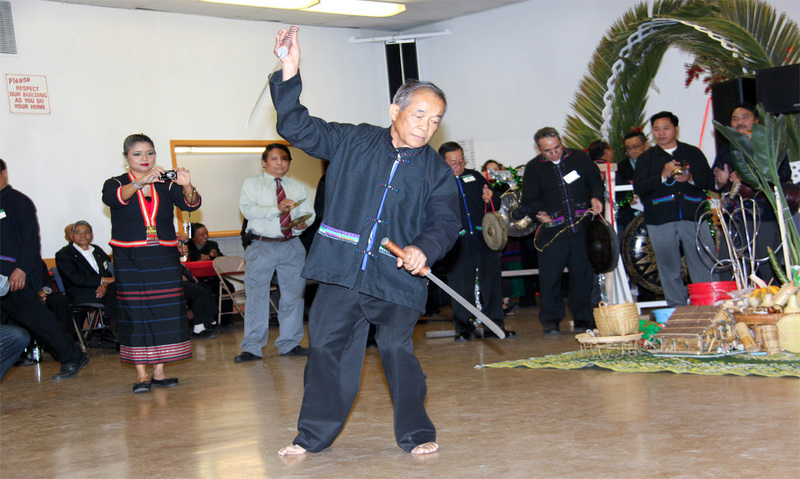 Sword dance, representing a brave ancestral warrior chasing and eliminating bad spirits out of the ceremony location, slashing and whirling his weapon. 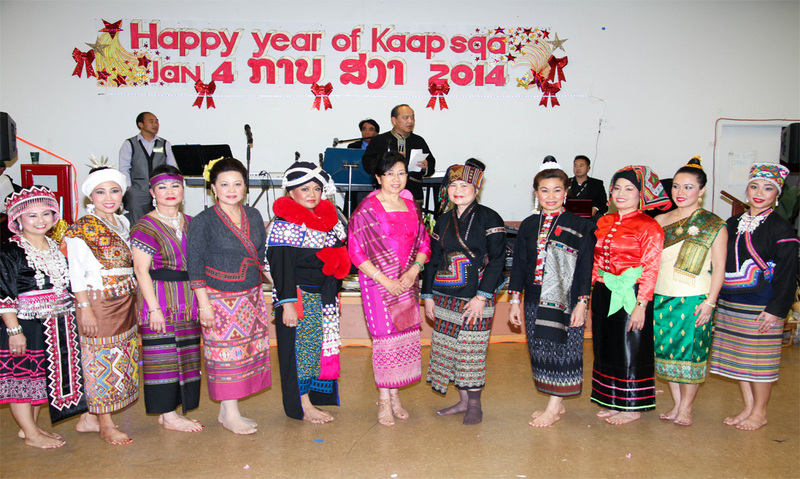 Nang Keo dance “Foon Naaq Kèèv” which is to embrace the New Year celebration and calling the great ancestors to come and bless the Greh ceremony. Pay respect to elders, leaders and or important guests by inviting them to seat in front of the Greh centerpiece. Perform current year-passage-rite ceremony by the “Greh” master ceremony by smearing the knees of the elders with bundle of flowers dipped in the ceremony’s holy water. The ceremony’s master swipes the knees and hands top-down praying for all the bad lucks such as unhealthiness, sickness and diseases, economic sufferings, starvation due to bad harvest to leave. 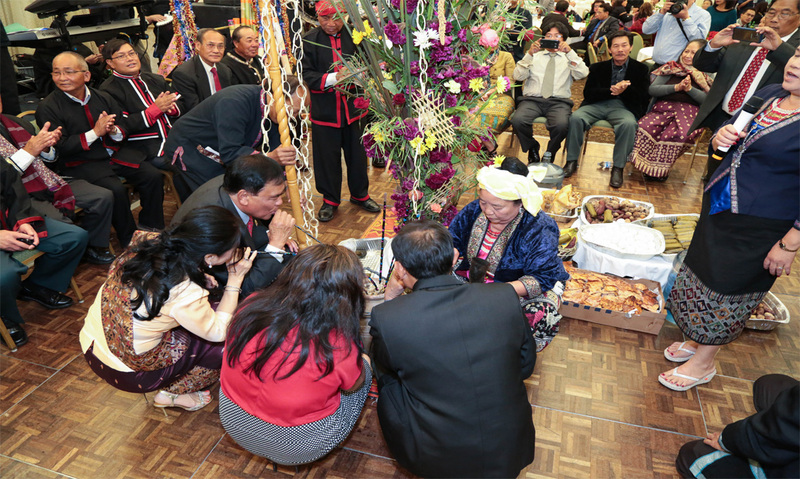 One of the jars of rice wine, representing the current year, is opened and the elders are invited to drink. 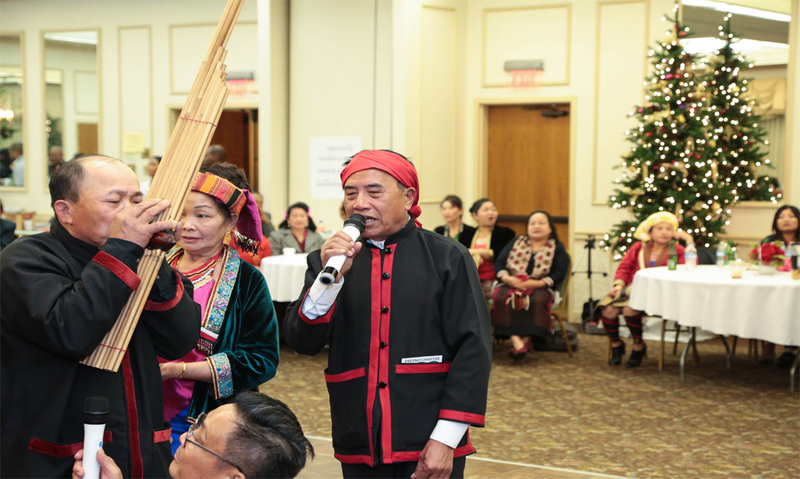 As the elders drink the sacred wine, a beautiful folk song called Term Khmu is sung by one of the elder lady within the community or village. Welcome the New Year ceremony by the “Greh” ceremony master by smearing the knees of the elders with bundle of flowers dipped in a bowl of holy water, swiping from the bottom to top, praying and wishing that all the coming years to bring a good life and good luck, good health and prosperity, peace and happiness. 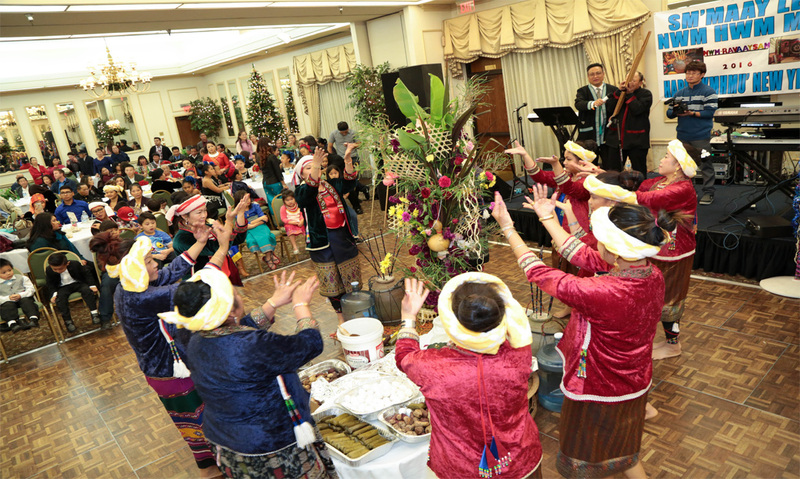 The second jar of rice wine is opened and the elders are once again invited to drink along with the singing of the folk song, Term Khmu. 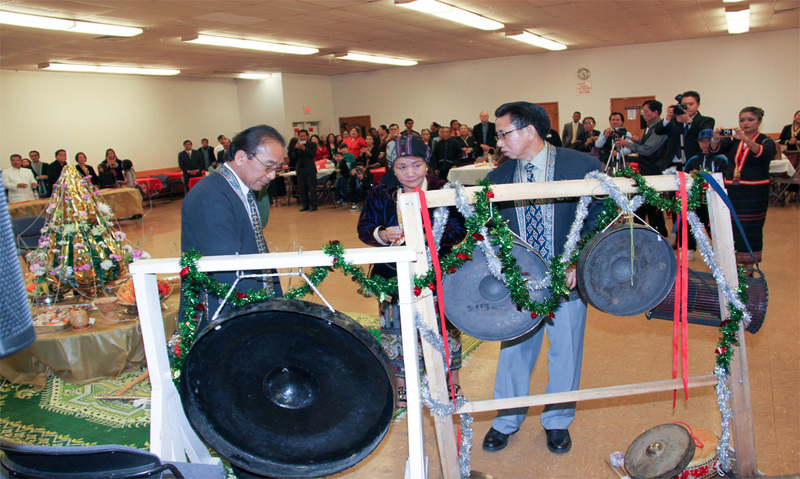 At this moment, all the Khmu instruments such as swq-kool, pi, gong, and high hatch are played. 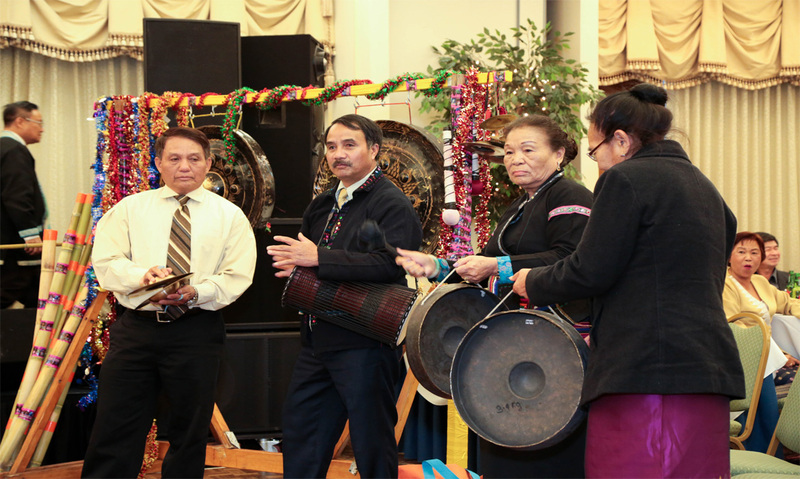 You can hear the sound of the gong and high hatch in a rhythmic tune to celebrate the New Year. 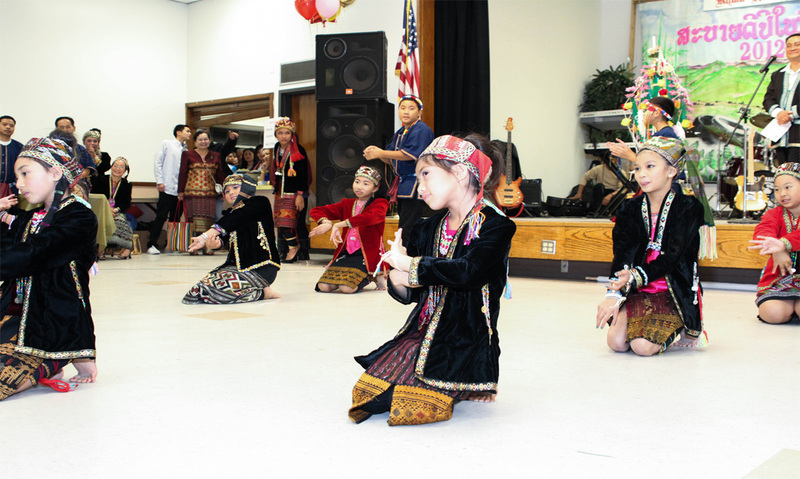 Again, the main core of the “Greh” celebration is to preserve our culture and heritage and pass it on to our future generations and to share our culture to others that Khmu too, has its own unique customs, traditions and cultural heritage. © 2019 Khmuoc. All rights reserved.